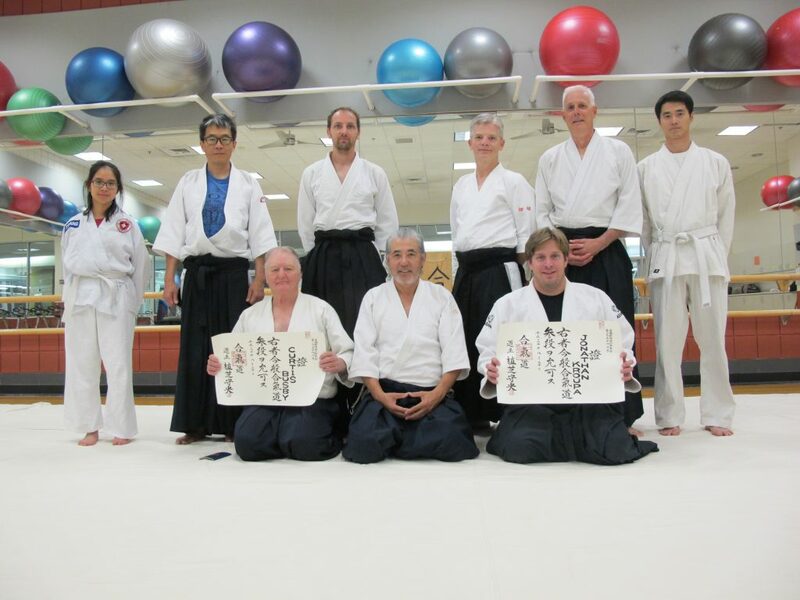 The members of Salt Lake Aikikai participated in the presentation of Aikikai san dan certificates to dojo mates Curtis Busby and Jon Kroupa at the end of keiko. Both of our dojo mates have worked long and hard teaching those of us who follow in their footsteps. We are grateful for their patience and kind examples and are excited for this recognition of their persistence. Both Curtis and Jon tested for rank during Glenn Yoshida sensei’s visit this past July.